As legend has it, Hemingway drank the Papa Doblé at the famed La Floridita bar in Havana, Cuba. Served in a large goblet, it’s said that he once put away 16 in one sitting. Hemingway’s good friend A.E. 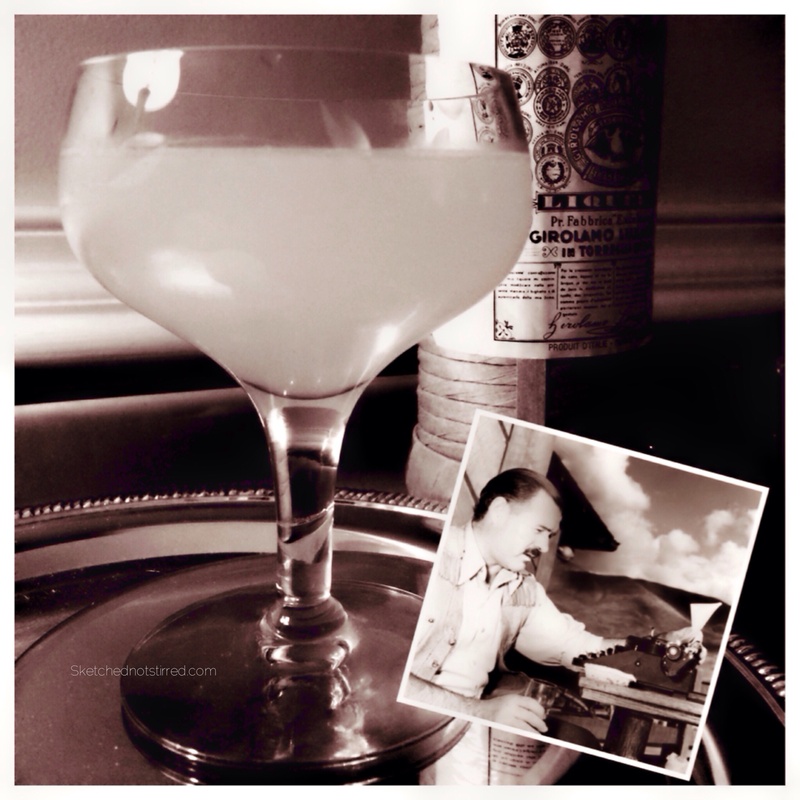 Hotchner recalls the cocktail in his memoir Papa Hemingway. Fill a blender one-quarter full of shaved ice. Add rum, lime juice, grapefruit juice, and maraschino liqueur. Blend until well mixed and serve in a massive goblet. Another popular variation is to shake all ingredients with ice, and pour over shaved ice into a goblet or cocktail glass. This recipe is found in Speakeasy: The Employees Only Guide to Classic Cocktails Re-imagined. It’s no surprise that this version has become increasingly popular with cocktail enthusiasts. The addition of simple syrup adds a gentle sweetness, reducing the sour taste of Hemingway’s double the rum, no sugar Daiquiri. Pour the rum, liqueur, juices, and syrup into a mixing glass. Add large cold ice cubes and shake vigorously. Strain into a chilled cocktail glass. Garnish with the lime-cherry “flag” (a citrus wheel skewered with a brandied cherry). There was a bar in the Bahamas that Hemingway liked, but it burnt down about 7 years ago. I have been there twice. He liked another one in Northern Michigan, I visited that almost 2 years ago. Hanging out in bars, that’s the life. There’s another in Key West, inside of the Pier House. The hotel was actually built around the historic bar. The life, indeed. Thanks for reading. 16 in one sitting! Both drinks sound wonderful–can’t wait to try them! I love these historical anecdotes!